Few experiences can compare to a perfectly planned cruise, but what if you could get even more from your vacation? When we reserve your hotel before or after your cruise, you’ll linger a bit longer — no need to rush to your ship or race to the airport. Stroll Vancouver’s sea wall and savor the cuisine of the Pacific Northwest before setting sail toward Alaska’s glacial beauty. 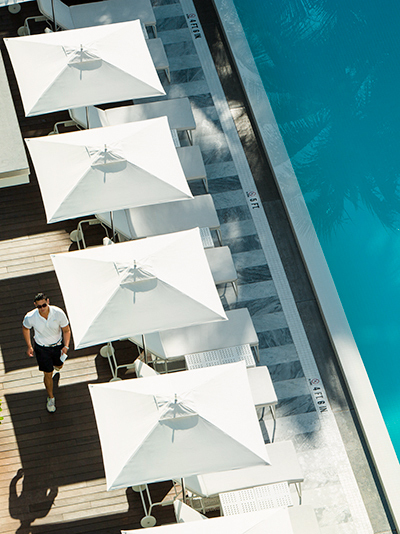 Unwind, Miami Beach style, after a fun-filled voyage to sunny Caribbean isles. Or indulge in pure decadence with music, spas and chocolate in Vienna before boarding a river cruise through the heart of Central Europe. Wherever your voyage takes you, we’ll arrange your stay from our global collection of more than 975 hotels and resorts and offer you valuable privileges such as complimentary breakfast for two daily, resort credits, Wi-Fi and early check-in, late check-out and a room upgrade, whenever available. 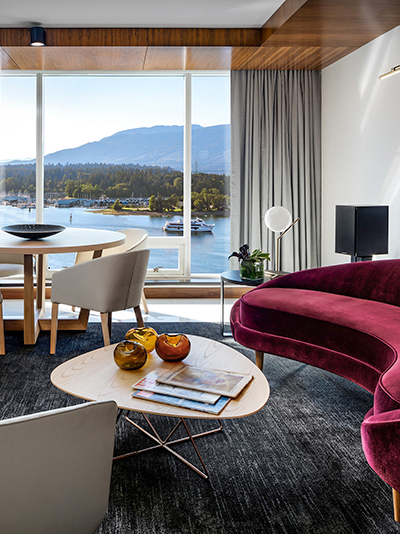 On the waterfront in the heart of Vancouver, Fairmont Pacific Rim offers expansive views of the North Shore Mountains, Stanley Park and Coal Harbor. Each of the luxurious guest rooms is exceptional including the Fairmont Gold floor, which stands out for its exclusive lounge, butler service, evening canapés and more. Delight in the offerings of Willow Stream Spa, discover Vancouver on concierge-crafted itineraries or settle into one of the poolside cabanas. For dinner, enjoy giovane café + eatery + market and The Lobby Lounge, which hosts live music nightly. COMO Metropolitan Miami Beach is a 74-room hotel in the heart of Miami’s Historic District. The hotel delivers the perfect blend of rest and revelry, urban modernity and Art Deco charm with light-filled rooms, a COMO Shambhala Urban Escape and leading-edge interiors by the Italian designer Paola Navone. 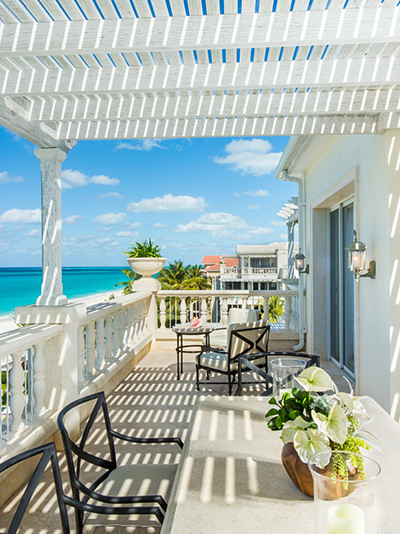 An exceptional blend of refinement and relaxation defines The Palms in Providenciales, Turks & Caicos Islands. Exquisite amenities fill the 72 suites and penthouses. Inspired Caribbean fusion cuisine delights diners in the stunningly beautiful Parallel23 Restaurant. Ageless remedies are combined with contemporary wellness technology in the award-winning Spa at The Palms. Yet all this elegance and indulgence is presented in a friendly, casual manner that soothes the spirit. Whether you choose to relax on the crystal white sands of Grace Bay Beach (ranked among the most beautiful in the world) or unwind by the serpentine infinity pool, The Palms offers a blissful retreat. Plus, all guests enjoy complimentary Wi-Fi and full breakfast for two daily. As the city’s only family-run luxury hotel, Hotel Sacher Wien combines trend with tradition and is a true iconic piece of its destination. Since 1832, the name “Sacher” has stood for authentic Austrian hospitality and experiences with a private touch! 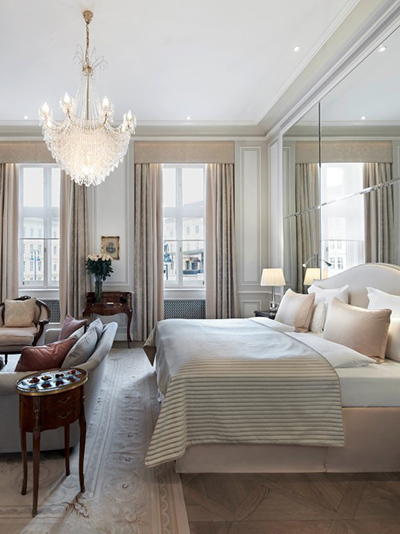 Located directly across from the Vienna State Opera and along Vienna’s elegant main pedestrian zone Kärntner Strasse, it is just minutes away from the Hofburg Imperial Palace and its Spanish Riding School as well as all other culturally important attractions. Plus, all guests enjoy complimentary Wi-Fi. 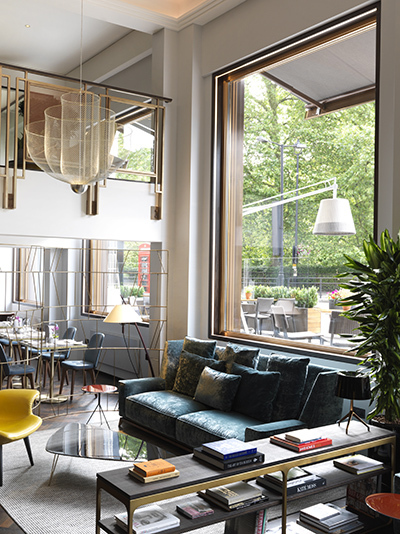 Combining architectural heritage with contemporary design, Hotel Café Royal, a hotel of The Set, is a luxury property located in the heart of London and neighboring Mayfair, Soho and the West End. From here, the city’s cultural highlights and the finest shopping districts are all within walking distance. Opt for relaxation in the serene surroundings of the Akasha Holistic Wellbeing Centre, one of the capital’s leading spas, located at the hotel. Plus, all guests enjoy complimentary Wi-Fi. Independent, award-winning and one of a kind, The Athenaeum Hotel & Residences is London’s foremost family-run, five-star hotel. 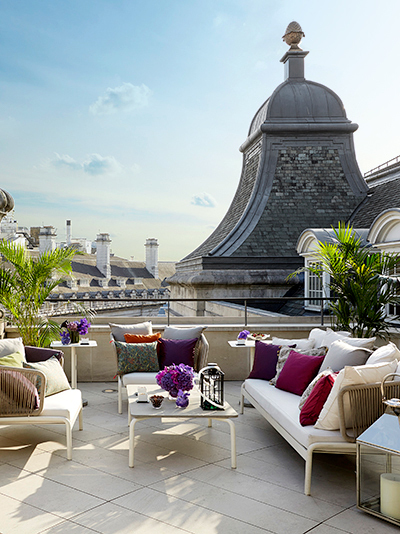 Set in an original Art Deco building located in the heart of Mayfair, The Athenaeum is the ideal base for your city stay. Following a multi-million-pound refurbishment and with Michelin-starred chefs The Galvin Brothers now at the culinary helm, this Mayfair icon is poised to begin a new era. Plus, all guests enjoy complimentary Wi-Fi. 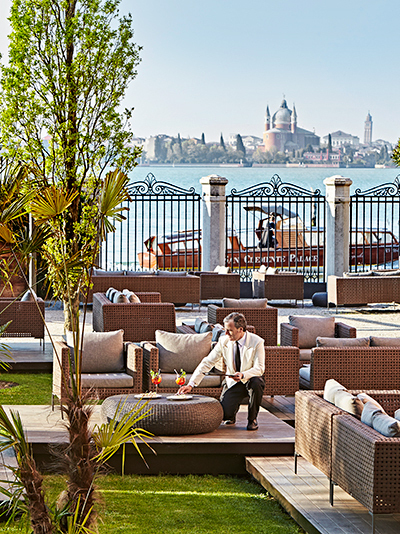 Nestled on a magical island in a Venetian lagoon, San Clemente Palace Kempinski is the perfect spot to begin or end your cruise adventure. Blessed with the luxury of space, this truly unique 12th century resort hotel is a scenic enclave with 15 acres of lush, fragrant gardens, 190 beautifully appointed rooms and suites, outdoor pool and a vast variety of leisure facilities for couples and families alike. Nothing beats the complimentary shuttle to and from Piazza San Marco, making it easier than ever to explore Venice’s grandeur and then retreat back to a private paradise. Plus, all guests enjoy complimentary Wi-Fi. 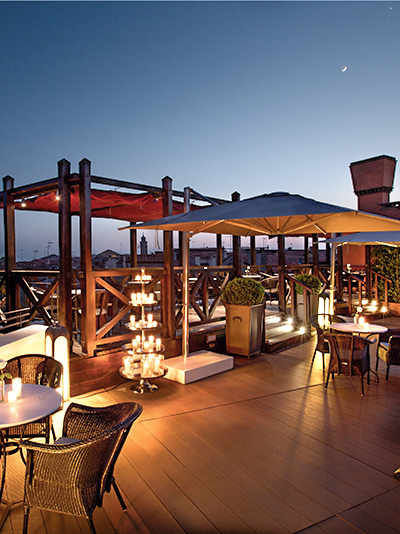 Splendid Venice — Starhotels Collezione is as elegant as the city itself. Gondolas drift past the window. Cafés bustle in St Mark’s Square. You have discovered the best location to experience the Venetian atmosphere in one of the hotel’s 165 rooms and suites designed with luxury in mind. After a day out, this contemporary hotel is the ideal sanctuary; calm and comfortable, yet infused with Italian hospitality. Let us create more ways to enjoy your cruise vacation by planning a stay before or after your voyage in one of these luxury hotels. Looking for something else? Choose from more than 975 hotels, resorts, lodges and spas around the world.